Valentine's Day will be here before we know it! Are you prepared to give that special someone an unforgettable dinner and evening? Make your plans include Jag's Thursday, February 14 through Saturday 16. 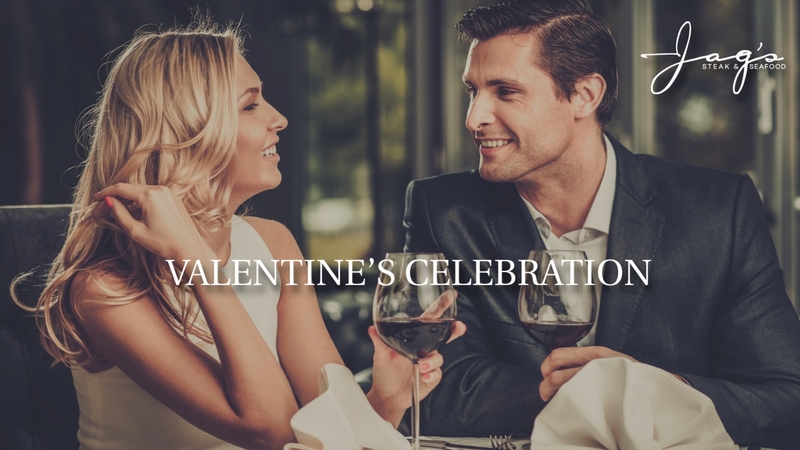 Treat your valentine to a four-course Valentine's dinner feature from our special prix-fixe menu. Then close the night by sweeping them off their feet after dinner with live music and dancing in the piano bar. The perfect romantic evening awaits at $75 per person. Make that extra impression with wine pairings included for $25 more. (Hint: For extra bonus points, have a bouquet of flowers or glass of champagne waiting at the table for your Valentine). Reservations can be made at https://www.opentable.com/jags-steak-and-seafood-reservations-west-chester?rtype=ism&restref=29125. Or, two weeks after Valentine's Day, return for a couple's night out at our first Master Class: French Wine & Cuisine, Thursday, February 28 starting at 6:30 p.m. to learn what "The Country of Love" is all about, or give the gift of Jag's by purchasing a gift card and stop in at a later date. We can't wait to serve you and your date!